The S. Stefano di Sessanio lentil is cultivated only in the municipal territories of S. Stefano di Sessanio, Calascio, Barisciano, Castelvecchio Calvisio and Castel del Monte, all in the Province of L’Aquila, at 1150-1600m asl, on the slopes of Gran Sasso. This is a mountainous area, and thus marginal land, whose particular soil and climate conditions allow crops to be grown without chemical treatments, ensuring highly natural products. 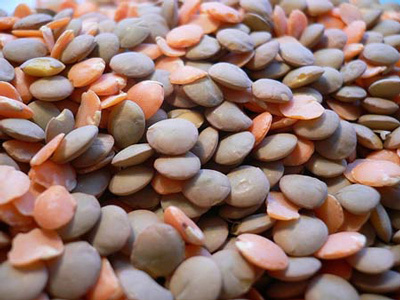 These lentils are small, aromatic and darker than other varieties, and they do not require soaking as they cook rapidly and hold their shape well. They are particularly widely used for the preparation of the warm and tasty Abruzzo soups. 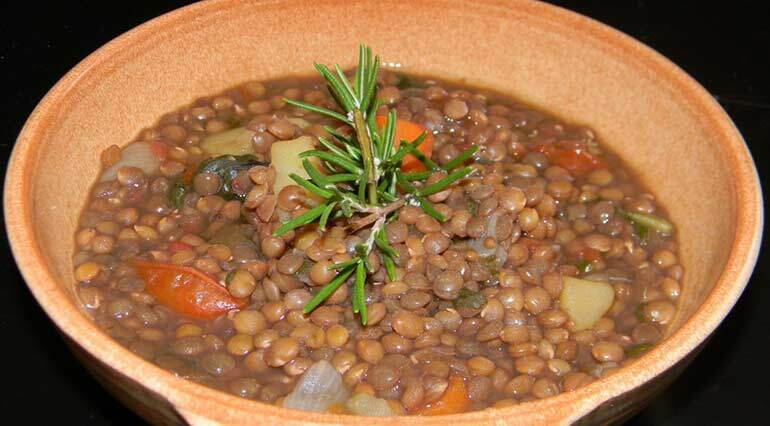 Once considered the “poor man’s meat”, in recent years there has been a revival of interest in legumes as an essential part of human diet, with consequent valorisation of the region’s traditional cuisine. 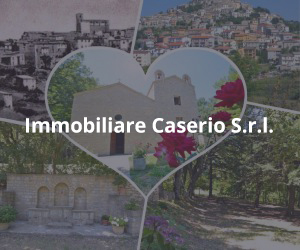 To safegua rd the past and future of this ancient crop, and to extend familiarity with the typical product, the town of Santo Stefano di Sessanio has been holding a lentil festival on the first Sunday in September for the last 30 years. 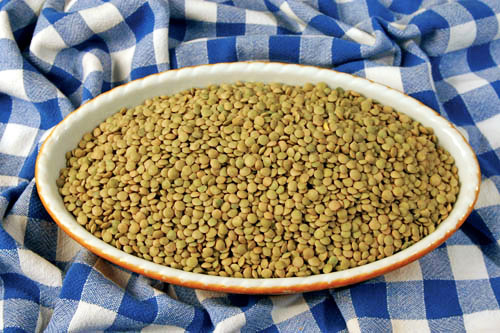 Several Medieval documents (the historical “Chronicon Vulturnense” referring to the Monastery of S. Vincenzo al Volturno, which at the time possessed large territories around L’Aquila) confirm that legumes were cultivated in the area. A detailed emphyteusis lease drawn up in 998 AD for the properties of Tussio, Carapelle and Trita (Tirino Valley) makes explicit reference to the local legumes. So it can be inferred that the legumes were already cultivated as full field crops and were thus sufficiently economically important to be subject to payment of a rental fee. More recent information concerning the cultivation of chickpeas, lentils, beans and other civaie (legumes in general) in the area around L’Aquila is offered by R. Quaranta (1885) and T. Bonnani (1888).